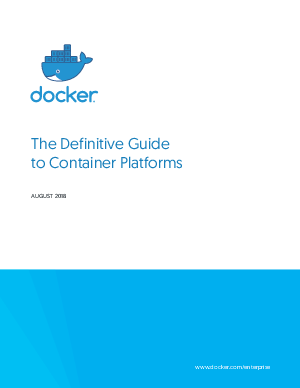 Docker containers exploded onto the scene in 2013 as a better way to develop software and has quickly become part of the enterprise infrastructure. Organizations often start by containerizing applications -- either components of a monolithic application or new distributed applications. But containerization itself isn’t enough to become more innovative. It requires changing processes, culture and the overall organizational mindset. That makes a container platform essential to success. In this paper, we will discuss what a container platform is and why it’s a critical part of any effort to drive change and innovation in the digital economy.